That's a nice bike. My mate's wife has a Sachs based chop. 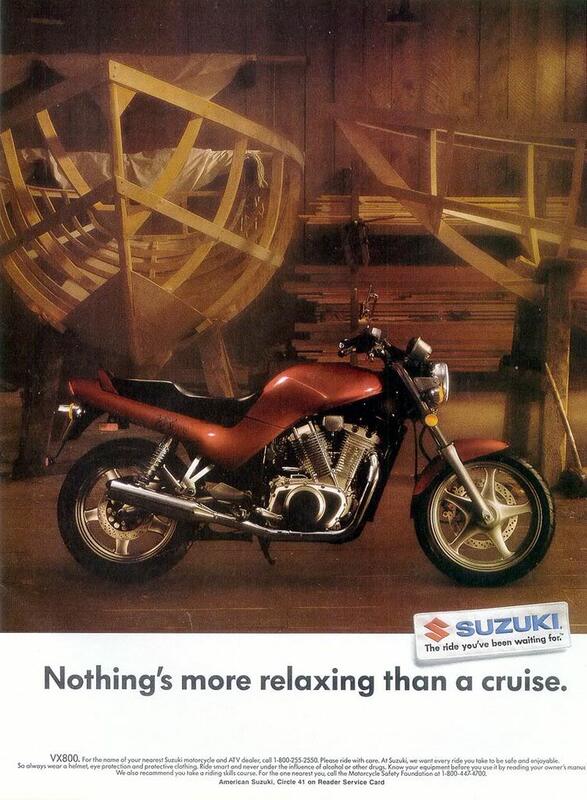 It's a Suzuki VX800 redone by Sachs of Austria. Are there many VX800 owners on here? 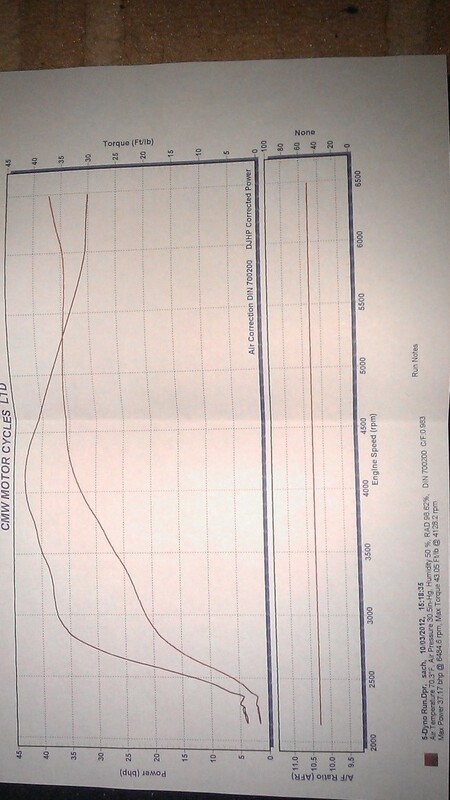 torque and low rpm power. Other changes were also made to the engine. I wonder what the small chome pipe near the exhaust header is for? MCN have them (Bog standard) at 57bhp (others at 58bhp) with 52lb ft.
What modifications have you done to it to warrant paying out for a Dyno? I hate it when people mess with carbs when they don't know what they are doing but these bikes do pop and burble a little on deceleration! So hopefully alls good. Righto. 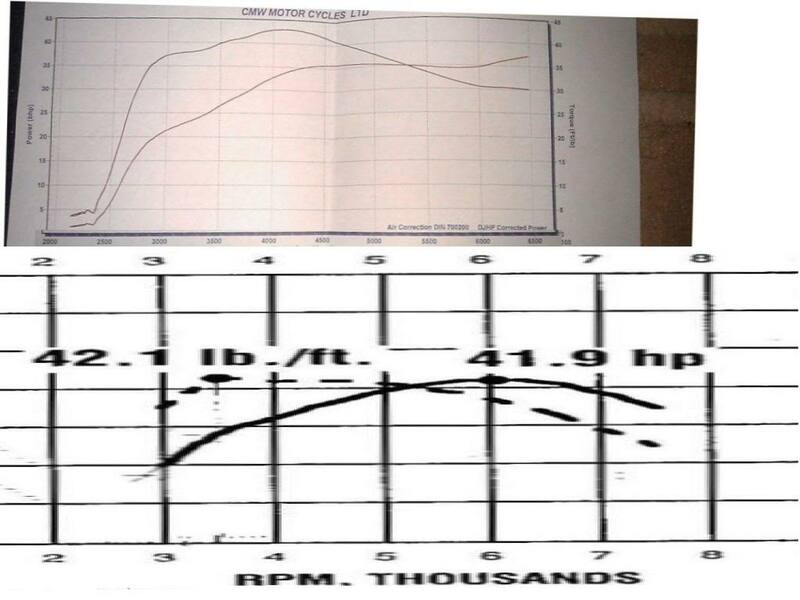 Dyno says 43.05 Ft/lb at 4128 rpm & 37.17 bhp at 6484rpm. The oil must be "JASO-MA standard"
-JASO rating is an excellent standard, since it's the only one that has a HTHS (high temperature high stress) minimum performance criteria. I still have the sachs, just brought the clutch spring and doing a light restoration as the rear shocks and some chrome bolts could look better. Also bought some tan material to recover the seat. "The original Suzuki clutch springs of the Sachs Roadster 800 & Sachs b-805 are 35mm long; suitable for motors with a torque of 50-60 Nm. 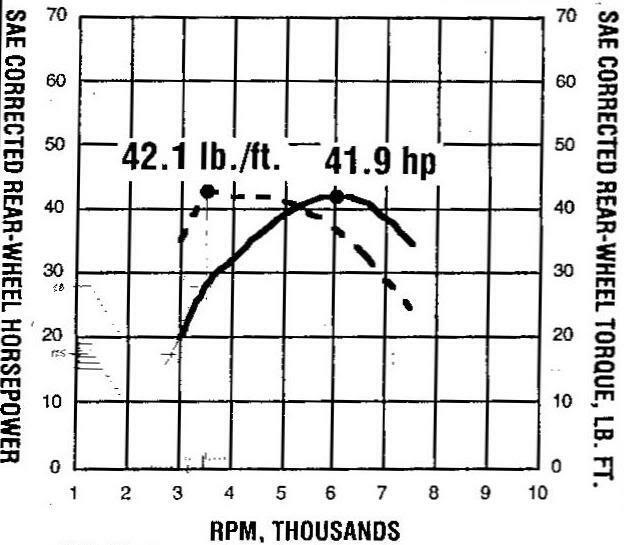 As a result, the Sachs Roadster 800 & Sachs b-805, with a torque of 70 Nm, will eventually slip-slip. The Sachs-Biker IG recommends alternative compression springs of the Suzuki GSX1100F (88-92) for clutch slipping in addition to the exclusive use of mineral oil; suitable for motors with a torque of 100 Nm. " I also purchased a new clutchpack. Interesting that the community got together (mostly in germany) to address a common problem of clutch slippage. Great to hear that you are near to be putting it back on the road! Also good to see that you are still in the group after all this time! Welcome back!!! Many thanks. Just picked up some Hagon Nitro shocks and all the bits for a service.